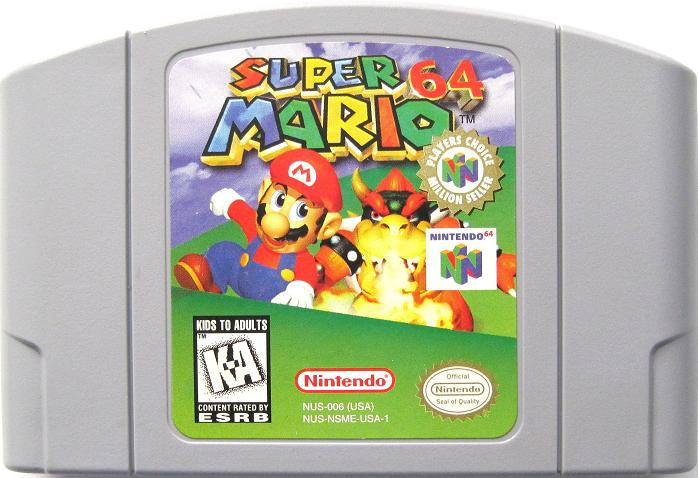 No other video game from the past two decades is as important as Super Mario 64. With the invent of the third dimension and 3D image processing technology during the ’90s, the gaming industry was struggling with how to make the leap from 2D to 3D gaming. Both Sony and Sega tried to revolutionise in this space with their respective consoles of the era, but neither could get it right. Then came Nintendo with Super Mario 64; The game’s fully expansive 3D world and dynamic third-person camera not only showed the world how 3D gaming was done, but how it was done right. If you were to play Super Mario 64 for the first time today you might have a difficult time understanding what makes it such a special game. After all, in the 19 years since its release the gaming industry has made huge strides forward in how we interact with video games; But look closely and you will begin to recognise which of the foundations Super Mario 64 set in place almost two decades ago have been taken and built into modern games, and continue to be expanded on. Super Mario 64 will forever be remembered as a masterpiece, a game that took what everyone thought they knew about video games, and completely changed everything. Its focus on exploration and discovery and non-linear mission design helped set a new standard in 3D gaming, which more than cements its status as an important part of video game history. When I talk to people about the Nintendo 64 often a game that comes up in discussion (when it’s not either Super Mario 64 or Mario Kart 64) is The Legend of Zelda: Ocarina of Time. Considered one of the best games ever made, Ocarina of Time received widespread critical acclaim upon release, even being awarded a perfect score by esteemed Japanese gaming publication, Famitsu. Ocarina of Time sees players take control of Link, a young elf-looking boy fond of green clothing, and features an epic narrative that sees us transported from the boy’s humble beginnings in a lush forest, to a treacherous active volcanic mountain, to seven years in the future where the evil wizard Ganondorf has seized control over the land of Hyrule, to the dark depths of ancient temples, and beyond. It’s a sweeping tale that whisked players on a journey like they’d never before seen, all with an unparalleled level of (for the time) detail and graphical immersion that wasn’t previously possible on other gaming consoles. While there’s some debate over whether Ocarina of Time has stood the test of time (pun not intended), or indeed is the best game ever made, its influence in the wider gaming industry is far reaching. The Target-Lock system and context-sensitive buttons first introduced here have been universally adopted by developers, and can be seen in some form or another in all types of modern games. The Sony PlayStation might had had its cool, hip image in the late ‘90s, but the Nintendo 64 had Ocarina of Time. 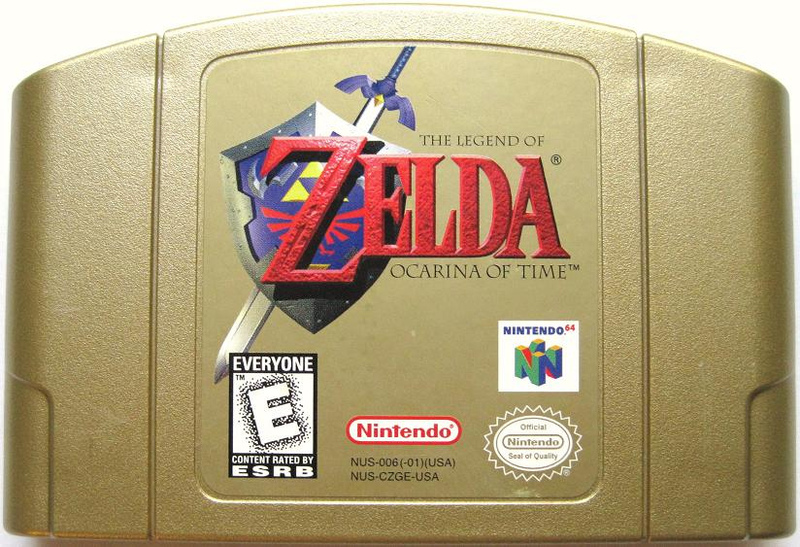 And with its gold cartridge, innovative gameplay mechanics, and rich, epic narrative, it was a game everyone at the time wanted to play. Not all of the Nintendo 64’s games were as fresh and innovative as Super Mario 64 and Ocarina of Time, it had its share of terrible games as well. While Pokémon Stadium isn’t bad, per se, it’s less of a video game and more just an expensive tool used to play old-school GameBoy Pokémon cartridges on your TV screen. Pokémon was massive in the late ‘90s – it’s still huge today, but when it first emerged on the scene it was literally all over the place; TV, merchandise, games, planes, EVERYWHERE – so it’s no surprise Nintendo were quick to commission its developers in finding a way to see some of that magic touch its (at the time) current home console. Enter Pokémon Stadium; a half-game that allowed you to transport your very own pocket monsters from your GameBoy cartridge onto the Nintendo 64 via a handy transfer pack you inserted into the back of the Nintendo 64’s controller (if you didn’t have any of the GameBoy games, you could still enjoy the game by using default monsters instead). Pokémon Stadium was limited in the way of features – there was but a handful of modes that all saw you complete in battle after battle with no exploration – but proved effective in bringing the handheld game’s core battle system to your TV screen. 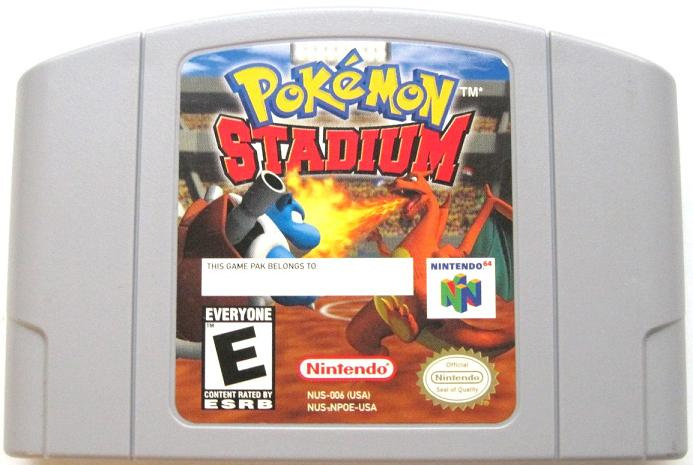 If you loved Pokémon, then Pokémon Stadium was a treat and a half. It was literally every ‘90s Pokéfan’s dream come true. No, really. It was. Seeing your hard-trained Pokémon come to life in full 3D? Forget about it! 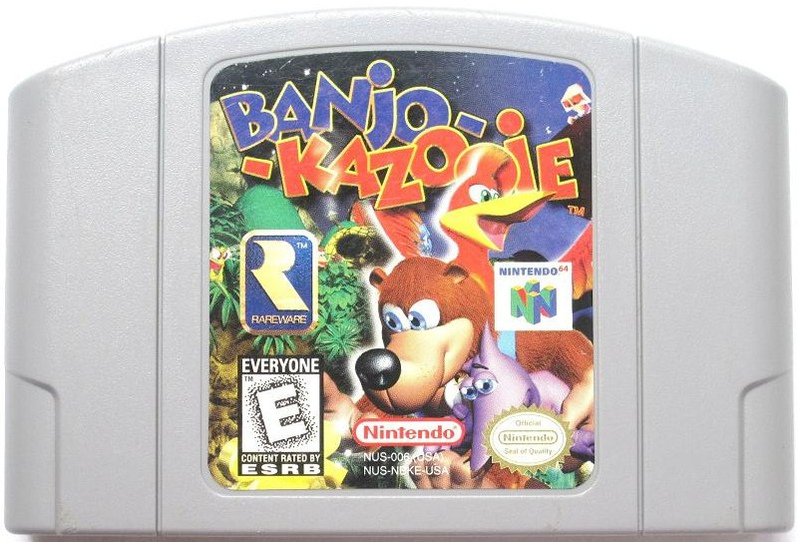 The Nintendo 64’s other brilliant platformer comes in the form of the Rare-developed, Nintendo published Banjo-Kazooie. Bright, colourful and chock-full of character, it stars a bear (Banjo) and a bird (Kazooie) who pursue an evil witch who plans on ‘stealing’ the youth of Banjo’s sister in a desperate bid to make herself young and beautiful again. Coming out after Super Mario 64, Banjo-Kazooie was seen as a spiritual successor in that it featured many similar design ideas. The game was structured in a non-linear fashion, and utilised a ‘hub world’ where players would gradually unlock new accessible areas. Similarly, levels were designed with multiple objectives, much like Super Mario 64, and collectibles in the form of Jigsaw pieces, musical notes and Jinjos (Jinjo!). Each new level players unlocked would be radically different from the previous one, complete with its own theme and set of hazards for players to navigate. While it never unpacked or challenged how people think about video games as Super Mario 64 did, Banjo-Kazooie took everything that game did well and made something refreshing, new and vibrant with it. It was a creative and artistic achievement that burned brightly, marrying a foot-tappingly catchy soundtrack with interesting and rewarding game design, and gave people in the late ‘90s yet another reason to want a Nintendo 64. When you think of shooting games what’s the first title that comes to mind? Call of Duty? Halo? Doom ( probably only if you’re old enough)? There was a time when shooting games just didn’t work on home consoles like the Nintendo 64 or PlayStation, and were instead something you’d more enjoy on PC computers, with games such as Doom, Quake, Wolfenstein and Duke Nukem, just to name a few. This was because no one had managed to, or even bothered to try, making a good shooter on consoles. 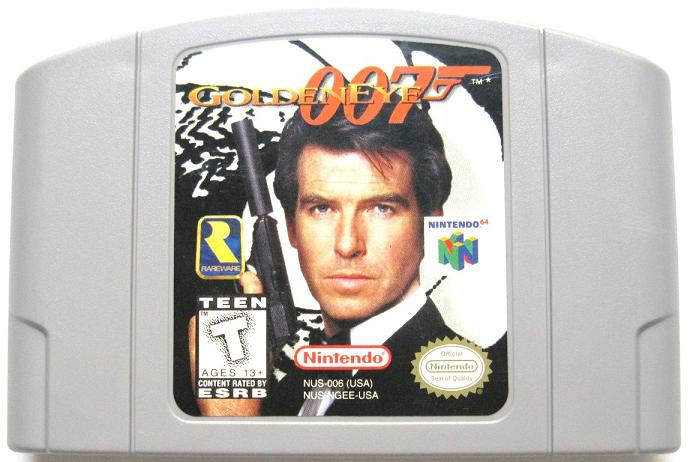 Then Rare, the folks who made Banjo-Kazooie, came along and produced the first actual good shooting game for a console, GoldenEye 007, and they did it on Nintendo 64. Based on the James Bond film of the same name, GoldenEye 007 was originally conceived to be an on-rails shooter akin to something you’d see in a video game arcade. But Rare somewhere down the development highway decided to break open the game’s design and give the player freedom to move wherever they wanted within the space. From here, gameplay was expanded on and natural mechanics such as stealth, duck and fire were added. Aside from these various innovations in the console space, the game’s level design was crafted to be multi-task focused, helping to make repeat plays fresh and interesting, something no other shooter had really done at the time. By today’s standards, GoldenEye 007 is a joke to play. It lacks all of the modern innovations games today feature, despite being the title that originally inspired most of them. Which is a shame, since it will forever hold a special, and important place in gaming’s history as the focal point where the shooting genre was legitimised on home consoles, giving way for countless lucrative and successful game series’ such as Halo, Gears of War and Call of Duty. 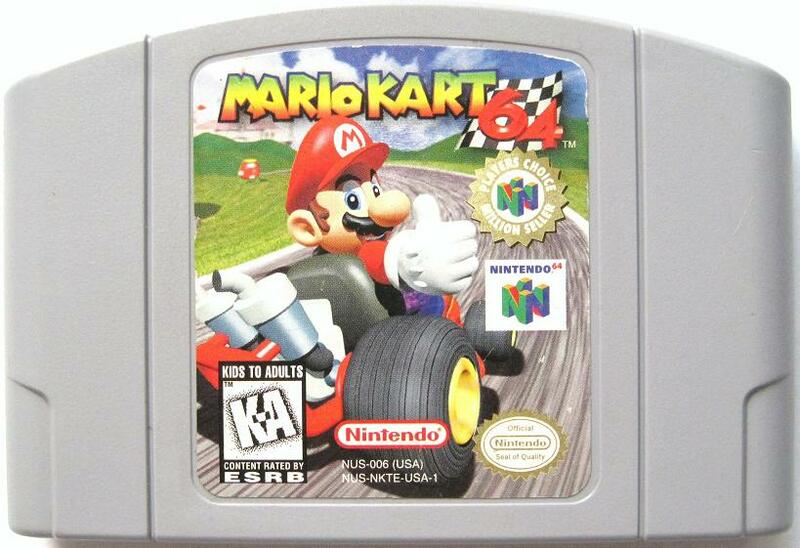 No list of great Nintendo 64 games would be complete without at least a nod to the party game to end all party games; Mario Kart 64. While the game hasn’t really stood the test of the time, its graphics now appear muddled and ugly, while the controls handle akin to a shopping trolley with one busted wheel, there’s no disputing Mario Kart 64 has forever earned its place in popular culture. It’s therefore always considered in our collective minds as the go-to video game for drunken get togethers (when other popular choices such as Singstar or Guitar Hero aren’t an option). This is due to the game’s strong local multiplayer, which can be argued as being the best in class both back in the late ‘90s, and in the modern era. Sure we have fancy new games that allow us to connect online with millions of other gamers, but Mario Kart 64 lets us beat anyone who happens to knock us off of the track in Yoshi’s Valley a good thumping with the Nintendo 64 controller. Now if you’ll excuse me, I’m going to go boot up the office’s Nintendo 64 and play a few rounds myself! What’s your favourite 64 moment? Images via George Tremoulis, Featured image via Farley Santos. Previous Previous post: Top Free Podcasts That You Need In Your life!